Last year Bohemian Rhapsody was such a smash sensation that it would become the highest-grossing biopic of all-time with more than $700 million in total box office. Having created memorable moments in films like Wayne’s World (“Bohemian Rhapsody” lip sync) and George Miller’s Happy Feet (“Somebody to Love” as sung by Brittany Murphy), not to mention the thousands of times “We Will Rock You/We Are the Champions” has blared through the loudspeakers of sports stadiums, Queen has been a fixture of pop culture for more than four decades. 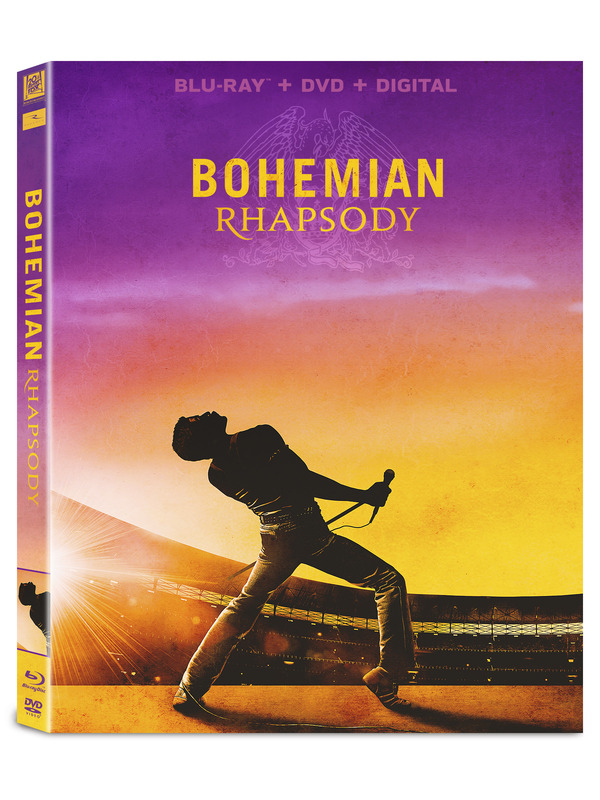 Now the story of lead singer Freddie Mercury and the band is coming to home video just in time for Valentine’s Day. Fox Home Entertainment has announced the biopic will make its arrival to digital platforms (including Movies Anywhere) on January 22, with 4K UHD, Blu-ray and DVD releases to follow on February 12. Mr. Robot star Rami Malek received a both a Golden Globe nomination and SAG Award nomination for his performance as Freddie Mercury. Malek’s performance is a standout as is the recreation of Queen’s famous performance at Live Aid. If you wanted more of the Live Aid performance well you are in luck as the release will include the “Complete Live Aid Movie Performance” that we didn’t see in theaters with the songs “Crazy Little Thing Called Love” and “We Will Rock You” added to the mix, giving us a 22-minute music extravaganza!